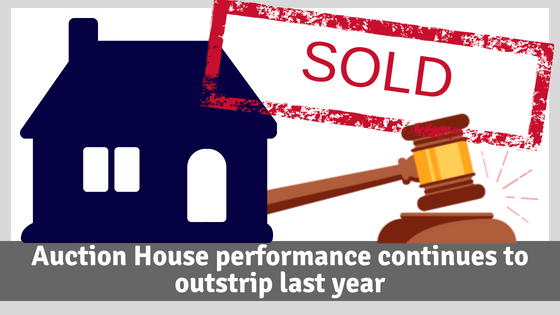 Following another successful selling month in May with 319 lots sold, Auction House – which has a branch in Leicestershire run by Readings Property Group based on Granby Street – has continued its strong performance in 2018, with cumulative results more than 6% ahead (6.26%) of 2017. This brings the group’s results since the start of the year to 1,358 lots sold from 1,830 offered – a success rate of 74% – and raising more than £173m (£173,441.950) in the process. Commenting on the year so far, James Court, Director at Readings Property Group said: “At a time when the property market is going through a challenging period, we are pleased to report another strong set of figures, which are still ahead of last year’s results. Some of our auction rooms have been delivering success rates over 85% – which in this current climate is an amazing achievement. However, James Court sounded a note of caution about the summer months, saying that further challenges lay ahead. He explained: “We are operating in uncertain times. The winds of change are often seen first in auction rooms, and the reality is that vendor expectations may need to soften if we are to deliver the required results. “The northern half of the country seems to be bearing up better than the southern half – but rather than being only for traders and regular investors, auctions are now open to all buyers. So we see opportunities on the horizon for shrewd buyers to pick up some bargains in the next few months.